Execution of turnkey projects – design, delivery, installation, supervision, commissioning and maintenance of biogas (biomethane) plants and then the production of green energy in the form of electricity, hot water, cold or steam from wet or liquid biomass. Biomass suitable for processing (inputs): all types of farm manure from cows, pigs, poultry, sheep, etc. ; waste feed, scrapped grain, flour and bran, slaughterhouse waste, whey, vegetable waste, food waste, etc. After the process of anaerobic (oxygen free) decomposition of biomass –the residual material – a thick liquid containing nitrogen, phosphorus and potassium compounds (NPK), can be used directly as a soil fertilizer or be separated to dry and liquid fertilizer for easier storage and usage. 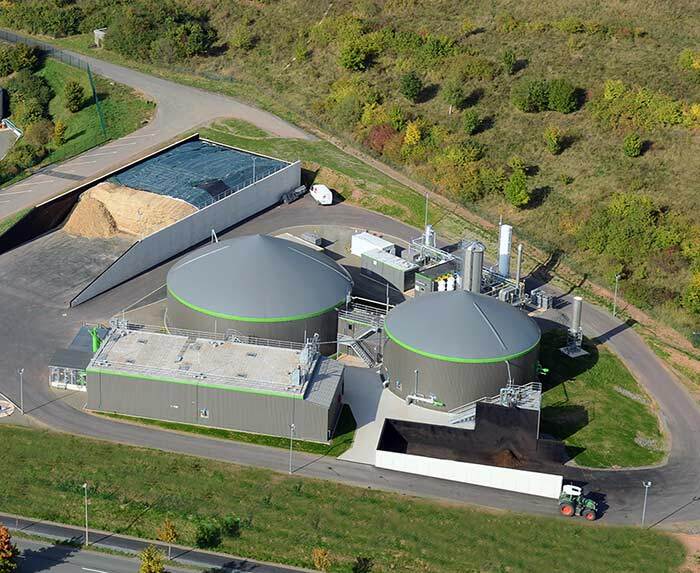 Due to the high performance and reliability, our biogas plants have the shortest time of return of investment. Balkanika Energy Plc. is a company established with aim of complete realization of investment projects in the production and utilization of energy from renewable, conventional and alternative energy sources, and protection of the environment through sustainable systems for waste recovery. © 2010-2019 BALKANIKA ENERGY PLC. All Rights Reserved.